A thirty-minute transfer via helicopter from Kingston’s Norman Manley International Airport can be arranged to Trident. Air transfers are currently subject to availability, weather conditions and daylight hours. 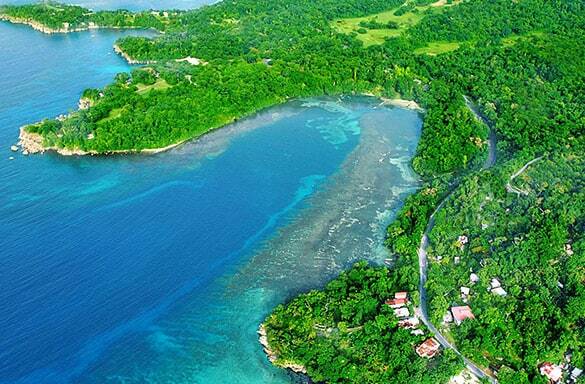 Port Antonio is a two-hour drive from Kingston via the newly completed road, or a three-hour drive along the beautiful coastal road of St. Thomas. Transfers can also be arranged from Sangster International Airport in Montego Bay, which is a three and a half hour-drive. There is a team of professional drivers who are on call to meet your needs for commutes, excursions and errands, at an additional fee.